Going on a Business Trip? Use the LinkedIn Events Application and Windmill Network! If you’ve followed my Windmill Networking blog for awhile or read my LinkedIn book, you’ll know that I’m a huge fan of the LinkedIn Events Application. Seriously. 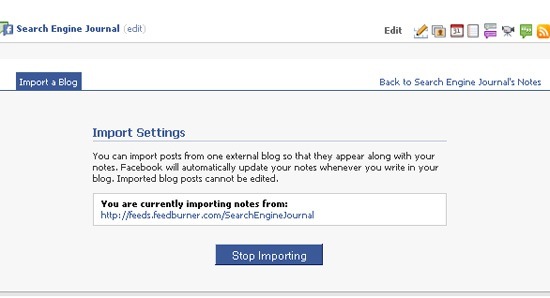 I wrote an April Fools’s post back in 2009 complaining why Events wasn’t considered an application with a blog post rhetorically entitled, “What are LinkedIn Applications?” I was the first one to ask “What Happened to LinkedIn Events?” when they mysteriously disappeared for a day in October of 2009. So you can say that I have a personal relationship with Events, and when all of the “social media gurus” talk about Facebook Events, Eventbrite, and Plancast, which are all also great platforms for events, I still think they misunderstand or under appreciate the potential for using the LinkedIn Events application. I’ve been traveling a lot the last few weeks, speaking on social media as well as attending award ceremonies for my social media book. As I am an avid Windmill Networker, meaning that I see the value of social networking to be of networking outside of my present network, I am always open to connecting with others on LinkedIn. There is value in plugging our windmills into the grid that is social media and virtually connecting. But the deep value and trust that comes out of relationships are when they are developed offline in the real world. That is why, whenever I travel outside of my native Orange County, California, I try to create a LinkedIn Event and use it as an avenue to not only bring together people that I am connected to on LinkedIn but have never met, but also an opportunity to meet new people that may have similar interests. Through the advice that I present below, I have been able to meet with between 10 and 30 people apiece at networking events that I created in Portland, Oregon, Jacksonville, Florida, and New York City in the past few weeks…and I had never previously met any of these people! Once you meet new people at a networking events, there are countless opportunities to learn from others, share information, help others, and maybe find a new business partner or even get a new lead either directly or indirectly from your new contact. Rather than spending time in your hotel room by yourself, it is a way to enrich your professional life and make new friends. You never know when your connecting with that person will help you or them out in the future. So the next time you are on a business trip, follow this procedure to create a way for people to meet you through the LinkedIn Events Application and Windmill Network! You first need to create a LinkedIn Event. This is not difficult to do, and step-by-step instructions of how to do so are in my LinkedIn book. The important things that you need to prepare are a title (“networking event” makes sense), a description which should want to bring people out to meet and network, and you need to find a location. I do this by going to Google Maps, figuring out both where I plan to be on business as well as where my hotel is, and then find an ideal area which makes logistical sense for the time that I plan to hold the event (late afternoons/early evenings seem to be the best time). I then go to Yelp and find a location that has a bar/large party atmosphere located in the ideal area. You can find these by using “large party restaurant” or “large group restaurant” in the search terms so that you can be assured that there won’t be an issue if a lot of people come! Check out the reviews and take your pick of location. Send out a reminder to those that RSVP to your LinkedIn Event. This is something that I originally did not do, and I regret not doing it because I think that attendance to my networking events could have been greater had I sent out a friendly reminder to all of those that RSVPed “Attending” and “Interested” on the Event page a few days before the event. Prepare for the LinkedIn Event by checking out the Profiles of those that RSVPed. Better yet, print out their profiles for airplane reading! Enjoy your time with new friends! You’re Windmill Networking! Are you getting the most of LinkedIn? I’m always surprised when I hear people say they need to think about opening an account on LinkedIn. I understand the reservations professional people have about creating a social media persona. When it comes to LinkedIn, the benefits far outweigh the perceived risk associated with many online tools. For those of you that don’t know, the curriculum vitae (resume) of the account holder anchors each account. LinkedIn is a professional networking tool in the purest sense. The architecture of the site ensures your experience will be relevant to you because it’s based on professional accomplishments, not pop culture or social chatter. LinkedIn is one of the granddaddies of social media, launching in May 2003. It has grown from strength to strength in the seven years since its inception. LinkedIn has over 70 million members. Membership is across more than 200 countries. LinkedIn supports multiple languages: English, French, German, Italian, Portuguese and Spanish. More than half the accounts are from outside the USA. Executives from every Fortune 500 company are LinkedIn members. LinkedIn gives you the ability to establish an online repository for your business network. You never have to worry about keeping your address book up-to-date. You can throw your business card folio and rolodex out the window. We all plan to stay in touch when a co-worker leaves or you change jobs. It’s not always easy and a busy schedule often gets in the way of good intentions. I’ve found or been found by dozens of people I’ve lost touch with as we’ve moved companies, countries and jobs. One of the best things I’ve ever done is use LinkedIn to find prospective business partners. Since accounts are based on a resume, it’s easy to find the people you want to meet or work with. The search function is comprehensive allowing you to zero in on a specific location, company, school or industry. It's no wonder recruiters view LinkedIn and social media channels as essential tools for vetting candidates. LinkedIn lets you enter your company details giving you a free listing connected to their powerful search feature. The Company Buzz feature keeps track of what’s being said about your specified keywords on Twitter. It’s a great way to keep your eye on the competition or track what’s being said about your own company. The Events feature will show you all the events being attended by people in your wider network. It’s a great way to keep track of what’s happening around town. Word of Mouth referrals are the lifeblood of small business. I’ve yet to meet a person that didn’t appreciate having a colleague or client giving a recommendation on his or her work. LinkedIn makes it easy to request recommendations and makes it super easy to give one, too. LinkedIn is continually updating their product to provide a clearer picture of the professional qualifications of their members. 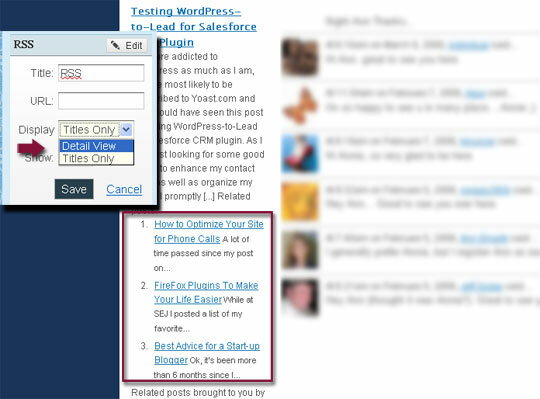 Slideshare, Amazon.com, Wordpress and Twitter all have useful integration features with LinkedIn. Perhaps the most powerful feature of LinkedIn is the multitude of special interest groups. These groups allow you to meet other professionals with similar interests and participate in worldwide discussions. The discussion groups also have a feature allowing for sharing of news articles. It’s a great place to stay informed, get the opinion of your peers and network with a global community of like-minded people. LinkedIn is a wonderful tool for people from any profession. Participating in LinkedIn is a low risk proposition due to the career focus attached to the membership profiles. I consider it one of my key strategic tools for running a successful business. If you’re not already a member, I encourage you to join. What benefits have you received from your LinkedIn activity? What features do you use the most often? If you're a business or professional person and not using LinkedIn, you're behind the curve. Fifty million business networkers must be on to something. LinkedIn is the 800-pound gorilla of business networking sites and an essential tool for job seekers in particular. According to the LinkedIn website, a new user joins the site every second, and it's easy to see why. LinkedIn is a free billboard for businesspeople. It showcases not only your name, photo, and professional credentials but also your colleagues' recommendations, your brilliant thinking (by way of a Powerpoint (MSFT) presentation or white paper attached to your profile), and your excellent roster of connections. The way to begin your career on LinkedIn is to build a sharp profile. Jump over to LinkedIn.com to create a login and password and begin to fill out your profile.LinkedIn helps you in your profile-building project by providing a handy thermometer-type tool that tells you how complete your profile is. (Until your profile looks fairly complete, resist the temptation to start inviting your friends to join you on LinkedIn.) Push on until you've reached at least the 70-percent mark.If you have a little more energy, use the Applications at the bottom of the profile-editing page to add a Powerpoint deck, your full-text résumé in Word format, an article you wrote, your own blog, or other content to your profile. Last, create a personalized LinkedIn URL for yourself, like this: http://www.LinkedIn.com/in/yourname, and use that URL on your résumé, job-search business cards, and job-search-related correspondence. Now rest and give yourself a pat on the back. You've arrived on the business-networking scene. Of course, launching a LinkedIn profile is only the first step. LinkedIn offers tons more in the way of friendly functionality for your job search. Not sure how to leverage LinkedIn in your job search? Read on. You get 120 characters in the LinkedIn "headline" field, so use them wisely. "Ever since I began covering business events for my college newspaper, I've been fascinated by business story-telling and its power to shape audience behavior. As a PR manager for B2B and B2C companies for the past 10 years, I've gotten my employers covered by Businessweek and USA Today (GCI) by crafting stories that connect readers with our brands." There will be other places in your LinkedIn profile (the Specialties field, in particular) to regale us with your certifications and technical qualifications. Use your Summary to let the person viewing your Profile know exactly what you're about and what you drives you in your career. You can set up your LinkedIn account (using the Settings link at the top right of each LinkedIn page) to keep all but your close friends (known on LinkedIn as "first-degree connections") from viewing your profile, but what's the point of that? If you're job-hunting, it's better to let hiring managers and recruiters find you easily by opening up your profile to public view. That means you need to click on the link that enables your Public Profile on LinkedIn. Other settings will allow you to dictate how LinkedIn communicates with you and about which issues (new invitations, e.g. ), whether your contact list should be visible to your connections (I recommend that you let your friends see who your other friends are—that's the point of LinkedIn), and more. LinkedIn began allowing users to upload a photo to their profiles a couple of years ago, and these days we can't imagine LinkedIn without user photos. A good photo adds life to your profile, and the absence of a photo raises questions (why doesn't this person want us to see what she or he looks like?) and just looks strange. Get a decent digital photo that shows you looking halfway professional (on-the-slopes and other leisure-time shots are fine as long as you look like a person who might function in the business world, vs. someone we couldn't remotely picture in a professional setting). Upload the photo to your profile, and you're all set. Once a person accepts your invitation to join his network, or vice versa, the two of you become first-degree connections. It's a two-way link. If you've accepted Jack's connection, you don't need to invite him to join your crew. A writer burned by a moment in the political spotlight seeks an online image makeover: Can search results be sanitized? When I Google myself, it hurts. It used to be that when I ego-surfed my own name, that well of digital knowledge delivered me harmless hyperlinks, mainly connecting me with my famous Canadian father. Ho-hum. About a year ago, that changed dramatically. The Net now paints me as the Peter Gzowski progeny who sank Stéphane Dion's coalition. The worst thing is, it's partly true. I am my father's son, and I was Mr. Dion's videographer on the day when his taped statement making the case for overturning the government showed up late and less than sharply focused. The links that pain me aren't even that bad. Most of them say I was unfairly scapegoated. Still, it smarts to be forever associated with that ignominy, and I also suspect it does my career no favours. So I decided to see if I could change it: Could I un-Google myself? When I investigated, I found out that “online reputation management” is currently one of the biggest growth areas of the Internet, according to the digital marketing group Econsultancy. Googling the subject delivers pages of competing companies, with ads bannered across the top and down the sides of every page. I instinctively distrust those sponsored results; clicking them usually leads into a maze of slow-loading graphics and unhelpful information. I called one, via a toll-free number, and spoke with “Carl” in New Jersey (“Joisey”) – he refused to give me his last name, saying that if it were published, his competitors would launch an online attack. “Dirty business,” he said. After only a few moments' explanation, he said he was sure he could help me, for between $1,500 and $2,000 (U.S.) a month. For life. I passed on his offer, but realized I needed to know more about Google and the term Carl mentioned, Search Engine Optimization. This term (SEO) has two meanings: First, to make your website easy for Google and similar search sites to find; second, to seed the Internet with so many nice things about you that the bad things are buried. The catch is that nobody really knows how the mysterious algorithms that Google employs to find things function, and they're continually being updated. Google doesn't actually search the Web every time you ask a query. It searches its archived index of the Web. That's created by software programs called spiders that visit pages, fetch their content and then continue following all of the links on those pages. When you ask Google a question, it searches its voluminous index, then modifies the results by asking more than 200 questions like: How many times does this page contain your key words? Do the words appear in the title? In the address? Are there synonyms? Is it a high-quality or low-quality page? And what is this page's PageRank? 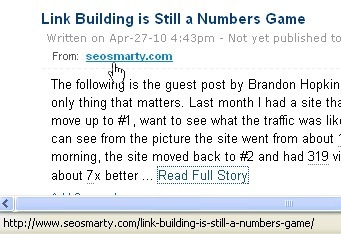 PageRank is the key. It's the formula invented by Google founders Larry Page and Sergey Brin that, according to Google, “rates a Web page's importance by looking at how many outside pages point to it and how important those links are.” So the art of un-Googling yourself is really the art of fooling PageRank, a wizard's curtain behind which we mere mortals are forbidden to glimpse. People are making careers guessing. However, Google officially frowns upon manipulations of its ranking systems. And in the U.S., the Federal Trade Commission's consumer-protection branch has required paid endorsers to identify themselves since 1980; last year it ruled that those guidelines also apply to social media. So hiring some American college students to troll the Net saying sweet nothings about you is technically illegal. No such rules are in place in Canada as yet, but the industry here expects them soon. An alternative approach is to ask anyone who may have posted unsavoury things about you to please take them down. If the statements are libellous and you have a lawyer handy, some Internet service providers may be persuaded to remove them on your behalf. Asking politely is preferable, though in some cases, a blogger, for example, could simply take your request and make another, even more insulting post of it. So I decided against sending a note to, for example, Ezra Levant, the uber-conservative blogger. He might make too much hay of it for my liking. So I would take the opposite tack: I'd just tell the world all the good news about me. I sought out professionals to help me with a standard do-it-yourself SEO campaign, for which they would be compensated only by being quoted in The Globe and Mail (and therefore having their online reputations improved). Denise Brunsdon, director of social media for the public-affairs firm GCI Group, says online reputation management is one of the fastest-growing areas of their business. It seems like whenever she tells people her title these days, she gets asked if she can do another contract. There are black-hat and white-hat methods, but setting up quickie, flattering sites or blogs and dumping links to them in every imaginable Web cranny won't fool Google for long, especially if you have active haters. This kitchen-sink approach “is tiring and does not win,” Ms. Brunsdon said. She prefers the “teach a man to fish” approach – showing clients how to do the ongoing work of reputation management themselves: First, decide what elements they like and want to promote; then create profiles on “polished self-advertising sites” such as linkedin.com and Twitter that rank highly in Google results (she has a longer list, but considers it proprietary information). Jaime Watt, the chair of communications company Navigator Ltd., is certainly considered a good guy in a crisis. He recently steered former Ontario attorney-general Michael Bryant through the subsequently dropped charges in the death of cyclist Darcy Allan Sheppard. Mr. Watt advised that you can't be phony or contrived, because “people are very good at figuring out who's being honest and authentic and who's selling a load of crap.” He added that it's important to be fighting for something that you know you can defend – the narrative you construct must be consistent. While Mr. Watt also disavowed underhanded methods, he did advocate creating counter-blogs or websites to “answer every attack, and don't let things go.” In situations much more dire than mine, and for people with the money to afford it, he said, instead of keeping your finger in the proverbial dike, you must send back a flood of your own. True, I thought. The words in this article are not coming from the mouth of a politician reading to camera in two official languages, scant moments before the nation decides his and many others' fates. I was a journalist and a filmmaker before I entered the world of politics. I am a journalist and filmmaker now. Writing for the newspaper could help to remind people that I am more than the impossible situation I became associated with. So I hope, honestly and authentically, that you enjoyed it. And the next time you Google me or anyone else, remember that the fastest-growing business on the Internet is the one trying to skew your search results. Mick Gzowski is a Toronto-based writer and filmmaker. Once you get beyond the basics, how can you get noticed without being annoying? With so many people caught between jobs these days, CFO asked Gary Starr, a CPA and MBA who was most recently CFO at a $70 million professional-service firm, to write about his current experience looking for a new position. In the third installment of a series, Starr looks at ways for job hunters to increase their visibility in some creative and unusual ways. One of the trickiest aspects of a job search is finding different ways to market yourself. You need to make people aware of your skills and experiences without coming across as self-aggrandizing. This is not necessarily an easy task for financial executives, who typically don't have a marketing mind-set about business issues or about themselves. However, it is important to change your mind-set and start thinking about creative ways to get noticed, besides just networking and sending e-mail updates. There are many ways to do this; here are a few suggestions. The most obvious marketing strategy for me is writing articles. I have begun to write about the search process for several online forums, giving helpful hints. In response to my articles, many people have reached out to me, including recruiters, old friends, and people who didn't know me. I also posted a note about the articles on my LinkedIn profile, which helped with the exposure. We all have expertise and good knowledge about various topics; it's just a matter of transferring the information into a compelling article or blog. Having exhausted the search tips, I am now thinking about my next subject, and I am energized by the challenge and possibilities. If writing isn't your passion, think about other ways you might leverage online media to raise your profile. For example, I noticed recently that someone on LinkedIn started a group called "150 Most Influential Recruiters" and invited all the recruiters who had been tagged with this honor by a major business publication. In two days, more than 20 recruiters signed up. That was a great idea and a smart way to get noticed. I wish I had thought of that! Finding opportunities at your alma mater could be a good way to get exposure. Consider taking or teaching a class, or volunteering at a high-profile alumni event. You might even ask the alumni office for people to contact or review the alumni list for networking possibilities. There are many opportunities here; you just need to find the right one for you. Volunteering your time at a nonprofit organization is a good way to help others and feel good about yourself. It may also allow you to display your expertise, especially if there is an opportunity to meet some of the board members. You might also register with BoardNetUSA, an online organization that matches individuals with nonprofit boards. I obtained my last job as a CFO through one of my nonprofit board connections. What’s different in LinkedIn Groups today? A key part of the new groups experience is the democratization of discussions, as group members actively curate the conversations that will be seen by the group. This is most obvious in the carousel of new content – original posts, RSS items, and off-site links shared by group members – that can be voted up or down by any group member. This feature allows users to quickly peruse new content and vote either by “liking” or commenting on discussions they deem worthy of the group’s attention. Users who prefer to see all discussions sorted chronologically can just click on the “See all new discussions” link on the homepage. While you may check in to groups ever so often to get the latest news and discussions from your fellow group members, you may also like to set up a persistent email alert when select members of the group make a contribution (like or comment) within the group. This is easily accomplished from the global Groups’ People I’m Following page. We’re all about nurturing the professional conversation, and we hope the changes to LinkedIn Groups will make it even easier for you to contribute and participate in a professional groups setting. We’d love to hear your feedback, so please feel free to leave a comment at the bottom of this post or @linkedin us on Twitter. You want your résumé to impress the future employer reading it. It’s the first impression you’ll get to make, but it’s amazing how many people continue to gloss over errors. In the job market today, you need to ensure your résumé is going to be read rather than quickly scanned and thrown away. Typos, misspelled words, and bad grammar can make a hiring manager think you’re careless or won’t pay attention to details on the job. Show you are capable of doing the job by choosing words carefully and catching any mistakes. Including too much information can make employers think you aren’t able to write clearly and concisely, which has become increasingly important in today’s high-tech world. Your résumé might not be read if it’s too long, either. A busy, cluttered résumé may make others think you are unorganized and scatterbrained on the job. Sending the same document for every job opening shows you aren’t great at adapting. Show the future employer you know what they need and you are the one who can help them fill that need. Using an inappropriate name for your e-mail address will very likely make hiring managers skip your résumé altogether. It’s unprofessional—create an e-mail account with some variation of your name for job seeking purposes. Incorrect or false information can make the employer think you haven’t updated your résumé for the job opening—or worse, that you aren’t being honest. Make sure your name is bold and stands out from the rest of your résumé. Combine sentences that are too similar. This will make your message much clearer and allow for easier reading. Change all responsibilities to accomplishments you had at that position. Most people who will read your résumé don’t want to hear about the general tasks you did, but rather how you benefited the company while you were there. Eliminate anything that doesn’t pertain to the job for which you are applying. You want to show the employer you know what they are looking for and YOU are it. Read your résumé out loud or have a friend look it over. You will catch anything that sounds awkward and your friend can probably give you some suggestions you wouldn’t have thought of otherwise. Don’t bury important skills. If it’s important in your field to have extensive computer skills, write about that in your professional profile (at the top) rather than burying it in a ‘skills’ section (at the bottom). The lesson is to take your time to make your résumé showcase the best “you.” Highlight those accomplishments. Update it when necessary. Make it concise, compelling and error-free. CAREEREALISM Expert, Heather R. Huhman is a career expert and founder & president of Come Recommended, an exclusive online community connecting the best internship and entry-level job candidates with the best employers. She is also the author of #ENTRYLEVELtweet: Taking Your Career from Classroom to Cubicle (2010), national entry-level careers columnist for Examiner.com and blogs about career advice at HeatherHuhman.com. Follow her on Twitter at @heatherhuhman. LinkedIn is one of the most popular professional networking sites on the web, and if you haven't set up an account yet, you should do so right away! If you already have one, check out this list and see if there is one or two that you haven't joined. Although LinkedIn is not as popular as Facebook or Twitter, it is offers one of the best resources for job seekers to network and find out about openings in their job field. For one, your LinkedIn profile is also your online resume, and there is also a recommend feature that allows other users to recommend you for a position, so it works as an instant personal reference. LinkedIn groups are an invaluable resource for expanding your job. You can join up to 50 groups out of thousands of user created listings. Some groups are created by individuals and some by companies. Each group is a community where like-minded people who are in similar situations can discuss problems within the group. As you can imagine, this lends itself perfectly to the job search. Some of the groups are devoted to job listings and networking, and some focus more on support and helping others find jobs. Whatever your needs are, take a look and see if one of these groups can help you with your search. Here is the top 15 groups for job seekers and their group summaries, if I am missing one of your favorite groups, please let me know. Project:Get Hired : A motivational support group for job hunters to share creative strategies and stay motivated. Whether you are recently downsized or have been unemployed for awhile, join for valuable information and insight. Job Search Help : This group is for all Job Seekers. Share advice and leads. Network and help each other. Discuss Job Boards, job search engines, career sites, ways to write a good resume etc. The Talent Buzz - Job Seekers, Candidates, Recruiting, HR, and Marketing professionals interested in networking, and being kept up to date with the latest trends in Human Resources, Diversity, Talent Management, Recruitment, Social Media, and Social Networking. Star:Candidate for Hire - Group working in tandem with Linked:HR, the largest Recruiters’ Group on LinkedIn, to help top candidates find jobs quickly and efficiently. Career Rocketeer - Career Launch Network - Fastest-growing professional network for career search, career development and personal branding, bringing job seekers and employers, recruiters and career experts together for mutual success. By-Melissa Kennedy: Melissa is a freelance writer, having contributed to various blogs and websites, a volunteer, a full time mom and an active job seeker. After a workshop I led, an attendee connected to me via LinkedIn. Shortly thereafter, she asked me for an introduction to a few of my contacts. I recommended that she find connections who might know her work better than I. She then responded with a very good question that I bet is on the minds of many: a lot of the advice out there promotes networking as a way to access those jobs and companies you want, but as you meet more and more people how do you know when it’s okay to ask for referrals? 3) She doesn’t stop at No. She didn’t push back on my hesitation for a referral but she did ask for more information (she asked why). So while she didn’t get exactly what she asked for, she got more information and that will help her search. You can’t expand your network if you always only focus on people you already know. You have to take a chance, like this person did, and reach out to people. Attend social events, go to conferences, take classes, participate in community activities, and then actually reach out to the people you meet. You also have to follow up because even if you do manage to introduce yourself and get this person in your LinkedIn network or on your email list, if you don’t correspond further, it doesn’t really matter. But, the follow up stage is a long stage. The best follow up is non-committal. You focus on the other person – just saying hi or giving an article, a recommendation for a good book, a holiday greeting. Give something that is welcome and doesn’t require a response. This way, you build familiarity and rapport without bothering the person. Then, when you have established familiarity and rapport, you might try asking for something. A connection/ referral to someone else is a big favor. When you make a referral for a job or even an informational meeting, it is a reflection on you, so you want to make sure that before you refer someone you know them. Likewise, asking someone else to refer you is a risk for them. They need to know that you will reflect on them well, so don’t jump the gun to ask your network for this. Asking for information is less of a favor, so if you’re not sure where you stand with a contact, ask your connection for information on a company or type of job. The contact may offer on their own to introduce you to someone they know at the company or to pass on your resume for that type of job. This way, you have put yourself out there, made your aspirations known, but also not imposed too much on the other person. People have different comfort levels for sharing contacts and referrals. So when you are expanding your network and not quite sure where people stand, be conservative and assume that you need to know the person very well. Then be generous and patient with your network so it becomes connections you know very well. Caroline Ceniza-Levine is a career coach, writer, speaker, Gen Y expert and co-founder of SixFigureStart (www.sixfigurestart.com), a career coaching firm comprised of former Fortune 500 recruiters. Formerly in corporate HR and retained search, Caroline most recently headed University Relations for Time Inc and has also recruited for Accenture, Citibank, Disney ABC, and others. Caroline is Adjunct Assistant Professor of Professional Development at Columbia University, School of International and Public Affairs and posts at CNBC Executive Careers and Vault.com. According to a study by NetProspex and Rapleaf, 43% of the employees surveyed use LinkedIn for business purposes. Most of which, I believe, are used for headhunting and employee validating. Promotion wise, business-to-business (B2B) marketers are actively seeking for potential partners and buyers. With 70 million professionals on its site (and growing as you read), LinkedIn has slowly become an essential tool for employees, employers and marketers. On the flip side, this causes us to be increasingly pressured to beef up our LinkedIn footprint. Not only have social platforms made personal data “open”, our career track records are also widely available to anyone who searches through LinkedIn or Google. While all the hype normally surround Facebook and Twitter, these sites are “less utilized” as they mainly offer advertising and communication opportunities. Companies do use Twitter for hiring but essentially still rely on LinkedIn for resume and validation purposes. This doesn’t necessary mean Facebook and Twitter are less capable or attractive. It simply highlights that different social site has its own strength. Understand where your audience are and mix and match for the optimum social strategy for your business. I just came across the Sustainable Agriculture Education Association website which has a listing of professional listings. Foodies know where the good markets are to find the best strawberries, crispy kale and first peaches of the season, but when it comes to finding their dream jobs, the classified ads just won't do. Since my friend and colleagues (self included,)are all in the market for a job that fuels our passions, allow us to live the good life and pays our loans, I thought it would nice to centralize some resources. 1. Comfood listserve- this is a great place for job announcements, up to day news in the sustainable food security movement and discussion about decisive issues. Many of the amazing players in the field can be found collaborating, asking questions, and offering up expertise. Share yours as well. 2. Sustainable Food Jobs (SFJ)- this is a domestic site that is updated weekly and has jobs from sustainable food service, farm to school, Americorps and farming internships as well as CEO positions at non-profits and start-up businesses. The site is cool if you want to search by region. 3. Good Food Jobs- similar to SFJ - this site is due to launch this summer. In the mean time sign up for their weekly email to catch the latest. 4. Idealist- a great place to land a non-profit career or organize with like minded people.Idealist is a project of Action Without Borders, a nonprofit organization founded in 1995 with offices in the United States and Argentina. Idealist is an interactive site where people and organizations can exchange resources and ideas, locate opportunities and supporters, and take steps toward building a world where all people can lead free and dignified lives. I have been successful searching by key words. 5. Linkedin-When you join, you create a profile that summarizes your professional expertise and accomplishments. You can then form enduring connections by inviting trusted contacts to join LinkedIn and connect to you. Your network consists of your connections, your connections’ connections, and the people they know, linking you to a vast number of qualified professionals and experts. A fun part is you can recommend your colleagues. 6. Juju- Do a search like "sustainable food jobs"
7. Change.org Jobs - search by topic, demographic, or job category. There are also career advisors and other resources. 8. Wise Earth Jobs -helps the global movement of people and organizations working toward social justice, indigenous rights, and environmental stewardship connect, collaborate, share knowledge, and build alliances. All tools and content are free to use. The site is commercial-free too. 9. Craiglist-not only good for getting used furniture or sports equipment, Craigslist can be a great place to find consulting gigs, freelance writing or part time work in your new city. I usually use search terms to sift out the junk. Beware of scams or jobs that are posted over and over again. If your bored of the job search, the Best of Craigslist is good for a laugh. 10. HigherEdJobs- A good place to look for adjunct faculty, part time or other teaching positions at community colleges or university. I search "nutrition" and get a lot of hits. 11. Check your local school districts, college websites, and county & city job boards. 12. Good luck and let me know if you have any other resources that may be of assistance! I have a confession to make: I was not an early adopter of Twitter. To be honest, I didn't get it. I didn't get the language. It seemed like a string of links to even more things I had no time to read. It felt overwhelming. LinkedIn and Facebook made sense as a perfect extension of networking I was already doing, but the charm of Twitter eluded me. If you are hesitant to join Twitter, you are not alone. However, I want to encourage you to give it a shot. Set up an account, follow some people and learn some things. People on Twitter are very generous with their time and knowledge. Yes, you will spend time on Twitter that you already don't have, but you will also learn things that will make you more valuable, smarter and "in the know." I use Twitter instead of Google for information gathering, and it has made me more productive. 1] Come up with a goal for trying Twitter. Is your goal to interact with the media or journalists? Is it to gain exposure for personal branding in your area of expertise? Is it to learn from others who are experts in their field? Or is it to increase traffic to your Web site or blog? 2] When you sign up, complete the profile as fully as possible. Add a photo, short bio, user name and real name. People want to know who you are. Your bio should reflect your goal. 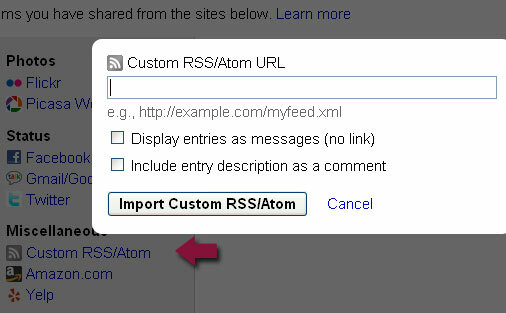 Make sure you include the URL for your site, blog or Facebook page. 3] There is no need to panic if you don't have a ton of people following you. If you post good information, people will find you slowly and steadily. 4] You may have multiple goals for Twitter, feel free to have multiple accounts. At our firm we have 11 accounts and each one has a different audience and purpose. 5] Start off by sharing your knowledge. I bet you know a lot about your industry and your business. Think of Twitter as a great way to share that information. If you read something helpful, share the link on Twitter and let others benefit from your find. Generosity is a good business practice. 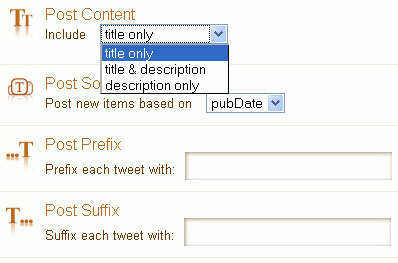 6] Because we are limited to 140 characters on Twitter, you will need to learn about shortening URLs. 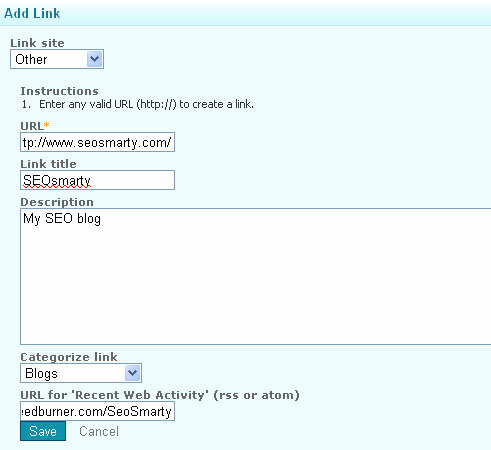 I use a site called Bit.ly because it helps me track my shortened URLs. 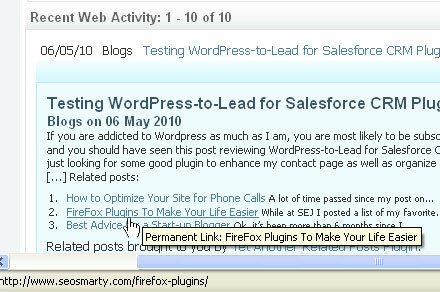 Or you can use a web site called Hootsuite which allows you to shorten URLs, track them and manage multiple accounts. It's kind of like the Swiss Army Knife of Twitter. 7] Learn the common abbreviations. We created a helpful postcard for our clients. Please feel free to print it for yourself. 8] If you read something you like on Twitter, remember to retweet it. It's a great way to give credit to people who are putting out good information. If you want to join the conversation, use reply. 9] Follow people you already follow in other ways: Journalists you admire, comedians who make you laugh, or authors who inspire and teach. 10] Be a good community member. A good rule of thumb is to have a 4 to 1 ratio for self promotion. One self-promotional tweet to 4 that will help others or engaging in the community through reply or retweet. If you are new or nervous, follow me on @websnapshot and we'll learn together. My goal for this feed is to learn and share good ways to integrate social media and web publicity. Along the way, I share resources and tools with my staff, increase exposure for my clients, get business ideas, and collaborate with smart people. I post links and articles everyday that help me be better, and I hope they will help you as well. In the comments below, tell me about your experiences with Twitter. Do you like it? These days I see a surge of new startups as we fight our way out of the recession. If you are not starting one yourself, the next best thing is joining one as a partner, or being an early employee. Believe me, there is no better way to get the experience you need for your own venture. Create and control your Internet image. Whether it's LinkedIn, YouTube, or Facebook, you need an online presence. No online presence may brand you as “old school,” and not startup material. Carefully monitor the "personal brand" you're building on the Internet to keep it positive. Follow-up with existing connections. Make new connections through your network, and always follow up with people you've already met. I’ve never met an executive or professional yet who didn’t enjoy being asked to share his expertise and views, and most will then remember you as someone who really cares. Update your career "tool kit." Most job seekers still use only their resume as the cornerstone of their search. But there are many other items you should have in your "career tool kit" – good online profiles, accomplishment stories, positioning statement, contact list, professional references, letters of recommendation, and more. Any other social media sites to promote your blog feed? Ann Smarty is the Director of Media at Search & Social where she serves as the Editor of Search Engine Journal. Ann's expertise in blogging and tools serve as a base for her writing, tutorials and her guest blogging project, MyGuestBlog. A few weeks ago, I held a roundtable discussion with recruiters on their opinions of and experience with social media sites. Mentioning LinkedIn elicited a positive response and Facebook stimulated a robust discussion about balancing their personal and professional lives. When I brought up Twitter, one of the recruiters responded “eh…” and another shrugged her shoulders (sigh). My daily schedule is full. How do I have enough time to be twittering? I get how LinkedIn works, I’m getting the hang of Facebook, but Twitter is a mystery. Who will follow me on The Twitter? I’m not that interesting. Recruiters recognized that some companies were successful recruiting candidates on Twitter, but could not picture themselves as active users. After doing some research, I found that buying a house provided a substantial return-on-investment, better than purchasing a condo, renting or living in my mother’s basement, especially with the current tax credit. Minor problem: I had no idea how to go about buying a house. So I took a trip to Barnes & Noble and bought the most obvious book possible, “Home Buying for Dummies.” Bringing the book to closing at the bank elicited some laughter from my loan officer and sitting on the floor in front of the sump pumps at Home Depot with my subsequent purchase of “Home Maintenance for Dummies” provoked stares from more savvy home-owners. However, I overcame my worries about how time consuming this would be and the dread of spending entire weekends trimming trees & gardening after learning about the process. I did the research, absorbed a lot of information and eventually purchased a house. Leaping into some unfamiliar terrain (i.e. Twitter) is worth the time it takes to learn something new and make some mistakes along the way for that ever-so-satisfying ROI. With the right tools and resources, recruiters who can alleviate their fears about Twitter, become consistent users and feel a glow of satisfaction when that first candidate rolls right into their applicant tracking system. Don’t believe me? Talk to attendees of ERE’s #SocialRecruiting Summit. I’m looking for recruiters who don’t have enough time to pick up a copy The Complete Idiot’s Guide to Twitter. What questions do you have? How can I help you understand Twitter enough so that you can improve your sourcing & recruiting efforts? Tell me (I won’t make you fork over $26.99). Too shy to comment? Fine. Read Geoff Peterson’s post on 3 Ways Recruiter Can Get a Jump Start in Social Media instead. I love social media, don’t get me wrong, but the downfall of today’s social media is that it can give people a false sense of security that they are effectively networking. Spending time on LinkedIn or Twitter is a smart component to your job search plan, but in order to reap the full benefits of networking, you need to back away from the computer, pick up the phone, attend a business card exchange or other networking event, or meet up with a former colleague for coffee or drinks. In other words, network the old fashioned way, the way we networked before we became addicted to so many of these networking sites. Talk to anyone and everyone. Don’t judge a book by its cover or prejudge someone’s effectiveness when deciding with whom to network and share job leads. You never know who someone’s uncle is. You never who their next door neighbor is. You never know what their old college roommate does. Part of networking is a numbers game, so be sure to speak with as many people as possible about your areas of expertise and your job search target. Create a target list of companies for whom you’d like to work. Network and research these companies. When speaking with people, it’s more effective to ask who they may know at one of these companies or who they know that does a certain function rather than asking people if they know of anyone hiring. When you’re introduced to someone connected with one of your target companies, conduct an informational interview with them and ask their advice on how you could get in touch or connect with people in a certain functional area. Identify the decision makers and network your way to them. The goal is to introduce yourself to decision makers and get your background in front of them before a job opportunity arises. Introduce your expertise to the decision maker and show him/her how they could benefit from your skill set. How to best leverage networking in your job search? The best way is to never stop doing it! Ideally, networking is not a stop and go activity reserved for when you’re wearing your job searching hat, but that’s unfortunately how many professionals view it. The key is to always be connecting. If you are consistently nurturing the relationships in your network, then when you do reach out for assistance during a job search phase, it will not be viewed as “give me, give me, give me” but rather as a natural opportunity to reciprocate as you will have recently helped them, provided them with leads, shared resources with them, or introduced them to a valuable contact, and they in turn will want to help you. Stop and go networking ony when you’re job searching can leave people feeling used and overlooked, without a sincere interest in helping you advance. As a career strategist and Certified Professional Resume Writer, Laurie successfully works with clients on projects related to resume development, career change and transition, job search strategy, interview coaching, and salary negotiation. She is passionate about helping clients in career transition or career re-entry, including career changers, stay at home parents, and entrepreneurs returning to corporate America. Before establishing her own firm, Sterling Career Concepts, Laurie began her career in investment banking and equity research and then transitioned to the recruiting industry with a national executive search firm. Her experience combines with strong academic credentials, including a Bachelor of Science in Business Administration with Honors from Georgetown University. 5 Things That Ruin Your Reputation on LinkedIn!